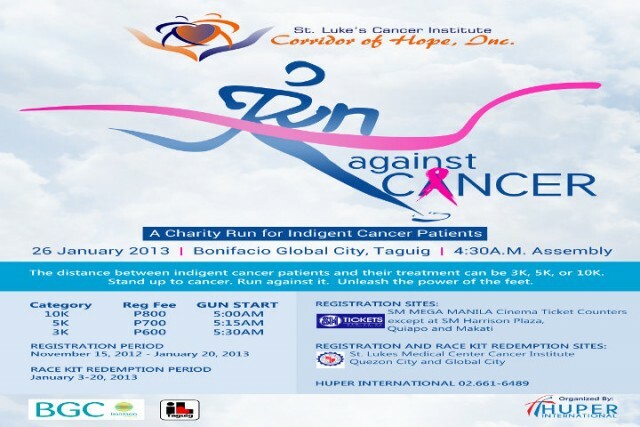 THE DISTANCE BETWEEN INDIGENT CANCER PATIENTS AND THEIR TREATMENT CAN BE 3K, 5K OR 10K, STAND UP TO CANCER. RUN AGAINST IT. UNLEASH THE POWER OF THE FEET.